As a 45 year building and now fire science expert, my passion has always been in helping provide solutions for our building industry. I have also spoken twice at the United Nations, about the need for renewable sustainable ways to meet the demands for affordable housing. A shelter protects you from the sun, insects, wind, rain, snow, hot or cold temperatures and crime. It helps humans maintain the will to survive. In some hot and cold regions a shelter may take precedence over your need for food and possibly even your ability to survive. This New York carpenter/building expert is not going to relax until positive change occurs especially now that he has grandchildren. As you follow Me you will see me pounding the current administration to amend the 45Q carbon tax credit to include lumber, our planets largest carbon sequestering resource. I have taken tours of our US reforestation programs in the late 1990’s and know what I'm talking about regarding defending renewable sustainable approaches to housing. I am now attending town hall meetings to help educate and redefine wild fire rebuilds, convinced we can build completely resilient houses against any wild fire. As I convinces folks of the imporatance of rebuilding resilient I will be asking our government to assist, because if they embrace resilient building it lowers there loss in future FEMA type assistance as well. 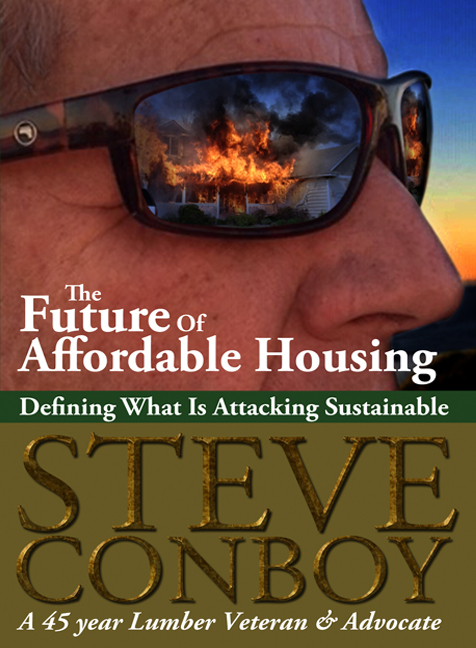 My AIA, US GreenBuild approved course, "Inferno" hosted by GreenCE is being taken by thousands. Please check out the course too.